Why do students need a registered migration agent once they have reached Australia? Congratulations! Your Australia Student Visa is approved! – Don’t these words bring a sense of extreme joy, excitement, and relief? So, finally, your dream of studying in Australia has come true. You are getting your bags packed, and you are mentally preparing yourself to embrace and immerse in the new experience. All the hard work, the hustle of document preparation, getting that right score in English Proficiency Test, dealing with the financial matters, everything has paid off well. We don’t mean to bug you, but, somewhere in your mind, you would have that little thought of what ifs. What if I do not like the place I have decided to stay? What if the scenario is a bit different from the one promised? How would I determine the rules and regulations? What if I get into some trouble? Before the anxiety of those what ifs kick in, it is best to be prepared. When you say that I am prepared, I have all the numbers with me; I have friends and relatives in the country, how can you double ensure help arrives in all kinds of situations? Well, the answer is having contact with a Registered Migration Agent. We are not here to convince you that a migration agent will be your fairy godmother. However, a trusted one will prove to be a friend during the times of various needs. Let us discover how. A Registered Migration Agent is who you should look for and get support. Before delving into the importance of a MARA, it is important to know who and what are they! To get assistance with any difficulties faced regarding accommodation or getting to the correct location of it. As students, there are several ways you might have tried to arrange a proper accommodation and have already finalised one. It is desirable that the accommodation in a foreign place be stress-free and convenient. However, it can be possible that upon reaching there, the scenario is a little different. What do you do in such case? Most probably panic. But, where do you go to find a solution? In such situation, a migration agent would be beneficial as they have been dealing with many clients who live in and outside of the country. They are well-versed with all the areas and might as well have some contacts to help you relocate. Also, in case you are stuck with areas, they can help you reach your destinations and also locate other essentials like a hospital, means of commute, multiple campuses of a university and so on. To get help regarding the laws and regulations in case of any problems. When you land in a foreign land on a particular visa, you are liable to certain rules and regulations. When you receive the confirmation of approved Australia Student Visa, you get a document “Visa Entitlement Verification Online (VEVO) Entitlement Check,” which lists the Visa Conditions that you must adhere. In case you face a situation wherein you are doubtful if certain rules apply to you or not, a migration agent can assist you the best. For instance, while on your stay period in Australia, you want to join another short course but you are unsure if you are breaking any laws by doing so. A migration agent can assess your case and provide you the right advice because they have entire knowledge of the various Visas and the respective visa conditions. To get help with the PR application and ensuring you do not breach current visa conditions. You can be eligible to apply for Permanent Residency Visa in Australia, and there are various subclasses for the same. If you have plans to obtain the permanent residency in Australia after your study period is over, you must be aware depending on your circumstances, the right visa to lodge. A Migration Agent has detailed knowledge about the criteria to apply for a different type of Visa that leads to a PR directly or indirectly. According to your case and various factors, they can suggest you the best option to opt for while considering to apply for Australia PR. Genuine agents will tell you straight if it will be challenging for you to get your PR Visa or any other adversity. Thus, you will have a clarity regarding the situation and accordingly plan for your future. In case you are planning to study further or obtain an educational degree, then what is the best course, university/ institute to apply at. Also, getting assistance with the admission and visa procedure. 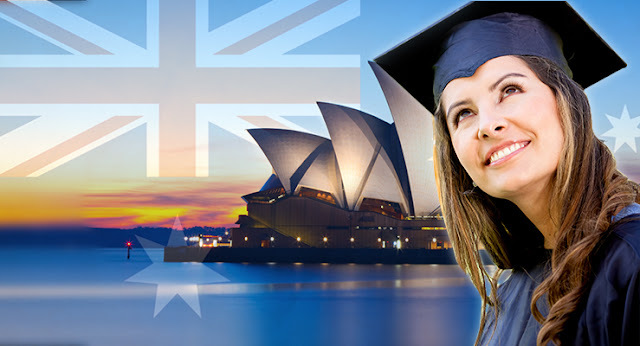 Australia offers top quality education that is recognised and respected by employers worldwide. It is possible that you might want to add to your skills and study further to obtain a specialised degree or choose to study a short course that helps you support your existing skills. And your student visa might be expiring. In such cases, you need to file for an extension of your student visa. Because your study period is over in Australia, you need to have a strong reason as to why you want to study another course and convince the immigration visa officer through your application file of your genuine intentions to study for an extra period in Australia. A migration agent can assist you with that and also in finding a good educational provider. Because they have a good network with educational institutes, they have complete knowledge about the various courses these institutes offer. So, you can probably discover a more relatable course and better educational institution that fits your requirements. Why is it important to consult a Genuine Certified and Registered Migration Agent (MARA)? Remember, before you decide on referring to a migration agent, make sure you are talking to an authorised, trusted one. Many con agents are looking to fool innocent people. You certainly want to keep away from those goons who might ruin your entire experience costing you time and money. With changes to the immigration rules becoming frequent, it’s good to get help from trustworthy Visa Consultants. You are free to check that the person you are consulting is registered with the concerned body of authority. A real migration agent would never make too good to be true promises, or charge a fortune for the services, and would never boast about having contacts in any of the related embassies. There are many good migration agents and education consultants from whom you can seek advice. You just have to be a little attentive. Author Bio: Dharmendra Patel is Registered Migration Agent and managing director of a well-known migration and education visa consultancy named Aussizz Group, having its presence across Asia, Australia and UAE. With the team of proficient education and immigration consultants, Aussizz has successfully assisted numerous clients including celebrities and artists with their Visa application process. The optimum goal of the company is to help people make their overseas dream come true.